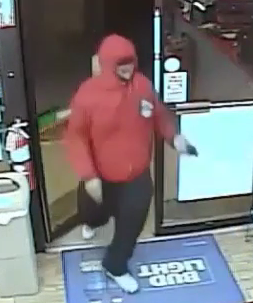 A red #hoodie wearing gunman robbed a Northeast Omaha Select Mart store Friday night. 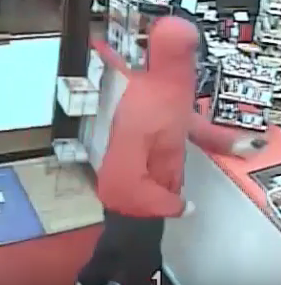 At 9:47 p.m. Omaha Police officers responded to a call of a robbery that occurred at the Select Mart, 2411 N 30th Street. Witness stated a male entered the store armed with a handgun, demanded money, and fled with an unknown amount of cash. The suspect fled eastbound in a silver Dodge. 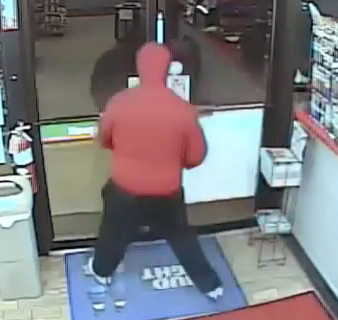 The suspect was described as a black male, 5’10”, wearing a red hooded sweatshirt with the hood pulled snug over his face. Police continue to investigate the incident. Anyone with information is urged to contact Omaha Crime Stoppers at 402-444-STOP, omahacrimestoppers.org, or on the P3 Tips mobile app.